Print and issue loyalty cards or arcade top-up cards with these CR-80 magnetic stripe cards. These low coercivity magnetic stripe cards are made from 80% PVC for high-quality image printing and 20% polyester for maximum durability. Each of the cards have a thickness of 30-mil and are the same size as the standard credit card for easy handling and storage. 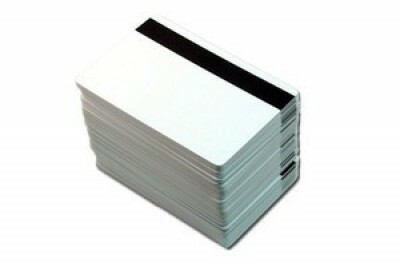 These PVC/Polyester blank ID cards feature a 1/2" magnetic stripe for storing information that can be read without difficulty by magnetic stripe readers. These low coercivity ID cards make good visitor badges, loyalty cards and other short-term badge applications that require swiping.